Bret Redfearn is a Project Manager/ Estimator for Dudley Construction. He is a transplant from Garland, TX and served 5 years in the United States Navy Seabees as a Builder 2nd Class Petty Officer. During his enlistment he deployed to Afghanistan, Cambodia, Macedonia and Spain, performing humanitarian/contingency construction. 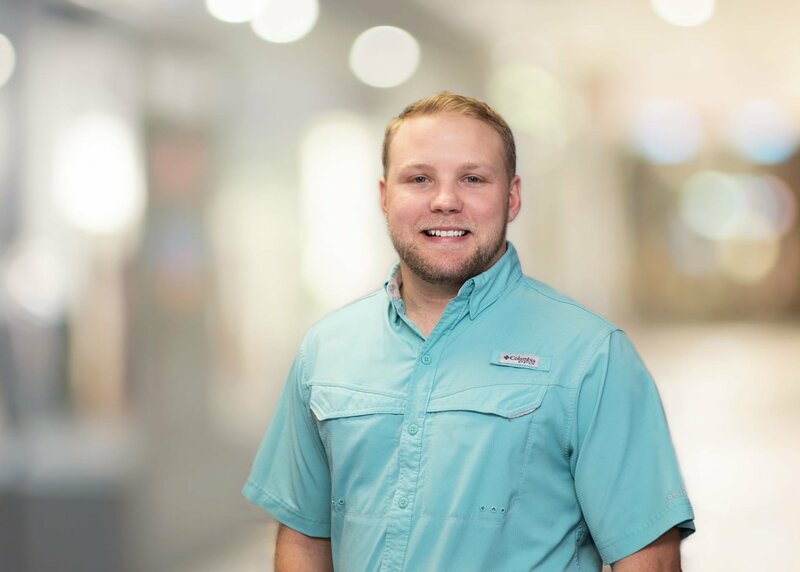 After his service he completed his Bachelor’s in Business with minors in Facility Management and Sustainable Architecture at Texas A&M University. Projects that he has been a part of are: Greenvile, TX – L3 Air Traffic Control Tower, Texas A&M University Scoates Hall Renovation, Texas A&M University Jack K Williams Renovation, Texas A&M University Park West Student Living Facility, Texas A&M University Leggett Hall Renovations, City of College Station Northgate Bollard Replacement and the Texas A&M University Lynntech Building Renovation. He enjoys spending time with his family, being outdoors, woodworking, and playing guitar.